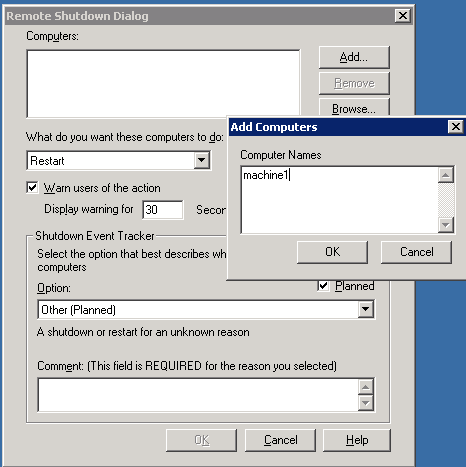 We can restart a remote machine if you are domain administrator. Consider a scenario Machine 1 & Machine 2 are part of Domain “XYZ.com”. Assume “Machine 1” hanged and not even letting you to Shut down or Restart.